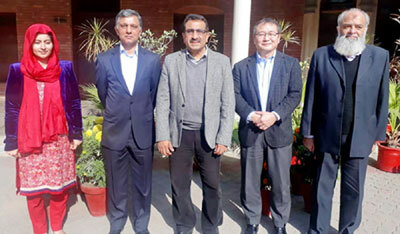 LAHORE: (Thursday, 17, 2019): A delegation of Mitsui & Co. Ltd., Japan, led by the Country General Manager Mr. Shinsuke Yamashiro called on Hailey College of Banking and Finance Principal Prof. Dr. Mubbsher Munawar Khan to discuss matters of mutual interests. Dr. Mubbsher briefed the visitors about the academic programs and the efforts being made for academic excellence. The Japanese delegation appreciated the efforts of the college’s management in developing productive human resource for the homeland. They appreciated the work of college’s graduates employed by them and expressed their confidence in the continuity of their efforts. The delegation expressed their interest for support from the college for meeting their HR requirements and asked the college management to initiate the process in this regard. 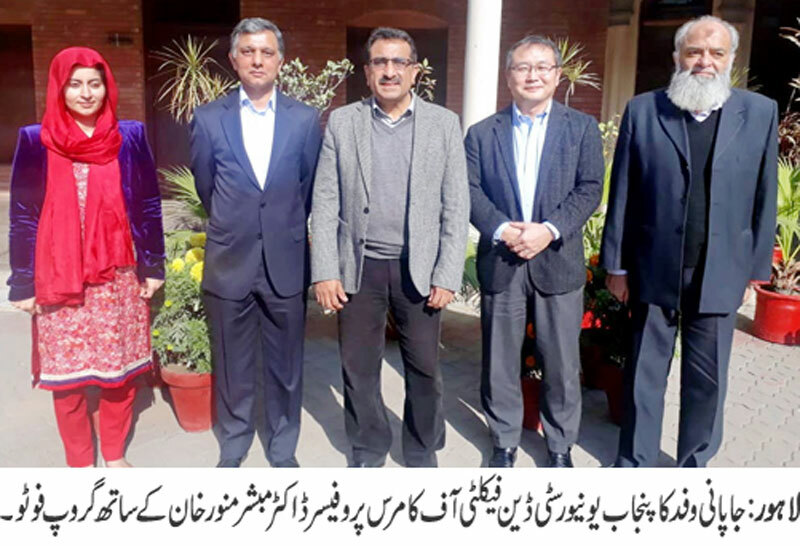 Prof. Dr. Mubbsher Munawar Khan expressed his gratitude on the confidence of the visitors on the quality of education being imparted by the college and the manpower being produced. He reiterated his commitment to strive for maintaining the quality standards. He expressed his confidence on the graduates to serve as ambassadors of goodwill.